Our add-on window cleaning service is perfect for customers who desire the ultimate professional cleaning package! Add window cleaning onto any of our ongoing cleaning packages for home or office. By opting for a window treatment on your residential cleaning plan, you’ll be adding a shine to your home you won’t ever want to go without. Windows are essential features in our homes we use more often than we realize. Every day we peer through the windows to get our first glimpse of the sun, we gaze and wonder what the day will bring, we innocently spy on our neighbors, we wait excitedly for special visitors. As much as we stare at these pieces of glass, we may not notice the layers of dirt and dust accumulating on the surface. At Cimara Cleaning, we’ve seen the level of filth that hides in plain sight, resulting in dingy views and darker rooms. Our team is eager to let the light back in your home, by getting the dirt off your windows and out the door. 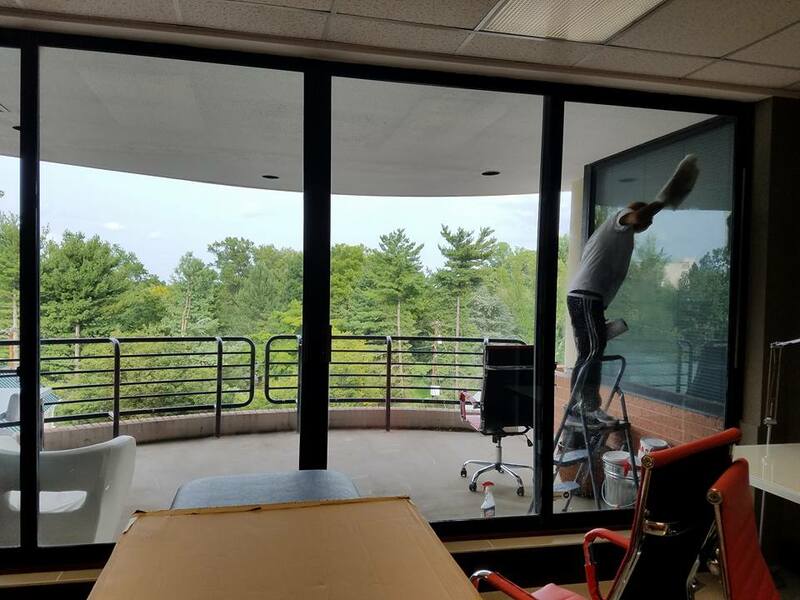 When requested as an add-on service to an already existing cleaning plan, our team will utilize the most effective supplies for your window design to achieve a spotless shine. Though accessible windows may be wiped during a general cleaning, this featured service provides an extensive washing of your windows you won’t regret requesting. We’ll send a specialized team, armed with ladders to tackle your windows safely and thoroughly. You will instantly notice clearer scenery and brighter rooms after our window service. With a reduced need for artificial lighting, you may even see a reduction in your electric bill! Given appropriate time, our exceptional team will complete a full-service residential window cleaning, both inside and out. We will provide a heavy dusting of blinds, as well as an extensive washing of window glass, tracks, and screens. Using delicate techniques, our specialists will handle your windows with excellent care. Our customers will tell you we clean with care, and it couldn’t be truer than when it comes to our suburb window cleaning services.